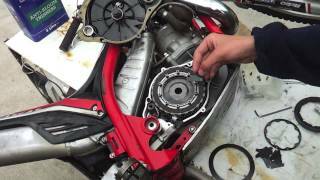 BEST clutch covers PART DEALS MINIMUM EFFORT! While clutch covers are designed for many years of use, they do sometimes need replacing and here we explain more. The clutch covers in our vehicles play an important role and are not just there to protect the vehicle's clutch since they also cover the torque converter and flywheel too. They tend to last for a very long time and are designed so they rarely need replacing but should you spot signs of wear and tear or corrosion on your current clutch cover then it needs to be replaced. However, it is crucial that you fit the right kind of clutch cover that is designed for your vehicle and if you are overhauling your vehicle's transmission system, you may need to do so anyway. 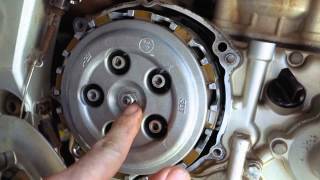 The clutch cover needs to be bolted securely for a tight fit to the engine block. Also, you may find that the clutch kits that are available for your make and model of vehicle will include a new clutch cover or they can be bought separately. 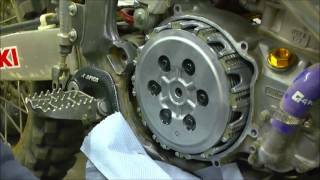 Sometimes, the clutch cover is known as the bell housing because they tend to have a distinctive bell-shape. Since they have been designed to be a snug fit, you really should buy the correct clutch cover required for the transmission system for your vehicle. 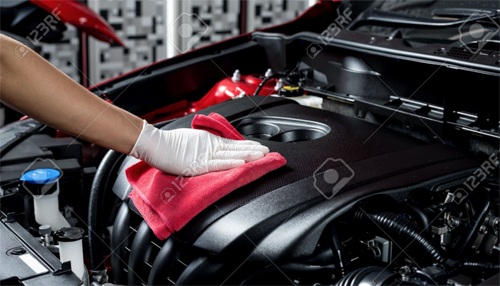 There are some issues that you need to be aware of that may dictate that the clutch or the clutch plate cover may need replacing include the smell of burning, an overheating engine or slipping clutch. There may also be damage to the clutch cover when driving over potholes and picking up road debris. Essentially, the clutch cover will protect the clutch pad from the transmission's moving parts and helps prevent the clutch pad from wearing out too quickly. The cover will also come under heavy use but will need to be replaced quickly should it be damaged. You may find that this work should be carried out by a professional who will ensure that a component that meets the vehicle manufacturer's criteria will be used as a replacement and that it will function properly after installation. Also, there is a wide choice of clutch covers available from OEM components, which are the same as the manufacturer used when building your vehicle, to a strong aftermarket in these components though the qualities of these will vary, you need to choose carefully when doing so. Also, you may find that scrapyards and salvage firms can offer vehicle clutch covers at a reasonable cost and these may offer many years of sound operation without having to go to the expense of buying and fitting a new cover. If you are searching for clutch covers, then it's important that you source a quality item and that this comes from a reputable supplier and that it conforms with your vehicle manufacturer's standards and the MorePartz site can help. One of the most convenient ways to obtain replacement clutch covers parts for your is to use your local or highstreet car part supplier. The advantage of using a shop is you get face to face support in purchasing the clutch covers part you need. One of the most beneficial aspect of purchasing from a local store is often highstreet shops will take your clutch covers part back if for some reason it doesnt fit, and if in stock instantly replacing with the correct part this can often be easier and quicker than repacking and posting, and then needing to wait for the replacement clutch covers part to be sent out. Salvage and breakers yards are are an excellent source of replacement parts, not only for clutch covers spares but for a whole number of different parts. Breakers yards and salvage yards purchase damaged cars and then they dismantle them and sell the parts on to the general public. If you want to make even more savings then purchasing your required part from a local could be the answer, shops, private sellers stores and all sorts of users post clutch covers parts for sale using classified websites such as preloved, gumtree or even craigslist. You will have to be a bit more savvy to purchase via this channel, there are no assurances that the part you purchase is fit for purpose and often if you purchase clutch covers parts from the public you are not protected - mostly clutch covers spares and parts are sold as seen, so you really need to test your clutch covers or know about the part your purchasing in some detail. For the convenience of shopping for spares and accessories without leaving your home then the online store usually has everything you need to get your part clutch covers part replaced. Its easy to find a large number of online stores to purchase your clutch covers replacement parts and accessories, usually the offer fast delivery to your home and refunds or replacements if the clutch covers part turns out to not be suitable as long as you have the original packaging. Some even offer next day delivery offering one of the most convenient ways to purchase clutch covers car parts. Some websites offer the ability to enter your car details and the clutch covers part required so they can source what you need by contacting a large network of suppliers to give you quotes on the clutch covers part your looking for. 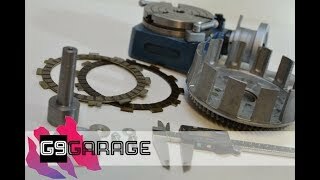 How Does A Motorbike Clutch Work?